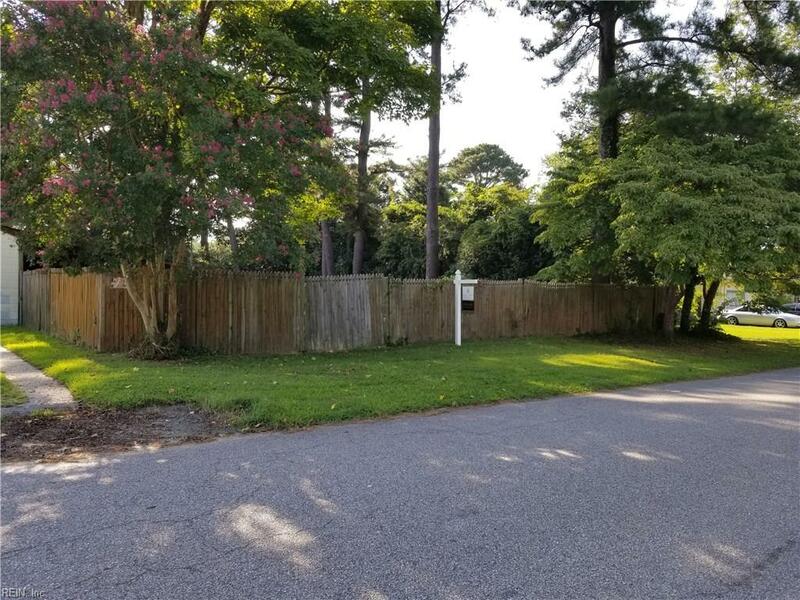 Lot Angora Dr, Chesapeake, VA, 23325 - Photos, Videos & More! Bring your plans and build multiple units! Property sold with adjoining vacant lot MLS #10214626. Total price $240,000. Total acres .251.
" Alex is hands down the best there is. He will definitely get you into the right house for you. He went above and beyond to find us our house and I would recommend him to anyone. " " Bruce was a great agent to work with. He was super helpful and extremely knowledgeable. He always kept in touch and still does, checking to make sure everything is good. I highly recommend Bruce English. You won't be disappointed. " " Jenn was recommended to us by a neighbor in the mortgage business when it was time to put our house on the market . We were NOT disappointed! We were impressed by her local area knowledge and her ability to flex to our needs. She is aggressive without being pushy. Direct but personable. She also did her homework when researching price points. Our home was marketed aggressively and sold in just over 3 weeks. That saved a ton of morning vacuuming and additional misery from 3 teens who were required to keep their rooms spotless! I highly recommend Jenn Bryant for your home sales needs! " " Alex went above and beyond in helping my wife and I find and purchase our home. He was very patient and understanding of what we wanted, and never pushed us. Extremely responsive and personable, buying a house with him was simple, fast, and fun. He did an amazing job negotiating the purchase and closing and got us everything we wanted. He is really knowledgeable of the area and can get you into the area that fits you and your family best. If you want to find your perfect house with a pleasant and easy experience definitely contact Alex. " " Bruce was a great help, always available when needed, providing all information I wanted . A great agent putting the client need before everything and really friendly. " " My wife and I cannot say enough about the job Jenn did for us in a purchase of a vacation rental in Va Beach. After a few years of studying rental markets and talking to other realtors/brokers, Jenn was very informative from our first contact all the way to closing. She was able to answer all our questions quickly, correctly, and efficiently and in the end we found a perfect property for us. Thank you for all you did for us!" "
" Bruce handled every detail and made this purchase a breeze! I was relocating from another state and wasn't sure when I could come to VA to look at houses, but Bruce was always available on my schedule. The home I eventually selected was vacant and he successfully negotiated a way for me to move in prior to closing. He handled every detail and we closed on time - a first for me! Highly recommended!! " " Jenn Bryant is one of the best real estate agents that I've had the opportunity to work with! Her attention to detail in selecting a home that met our needs, negotiating the offer, and the communication throughout the closing process was second to none! We were in our new house in no time flat, and "ALL" of the minor issues were resolved by the seller without question prior to the close. Jenn was always prompt in her arrival as well as any inquiries or issues that needed a reply whether from me or my bank, she was on top of it. She is very knowledgeable about the housing market! Jenn Bryant was nothing short of a pure blessing for us! Just amazing! " " Jennifer has helped me and my husband buy/sell 3 homes to date and every transaction is just as smooth as the first. Her professionalism, market knowledge, go-get-em attitude and attentiveness to my family is always appreciated. She gives my family the service we expect and deserve along with a Realtor we can trust. Thanks Jennifer for a job well done.....again :) "
" Alex did a fabulous job for us. He was on the ball and made things happen. We would gladly use Alex again in the future. " " Our family was moving from the west coast, and Bruce was completely dedicated to making our move as seamless as possible. He went above and beyond the call of duty to ensure we were able to get the best home for our family. I would recommend Bruce to any family looking to buy or sell a home!! He is professional, personable, and made us feel like we were his number 1 priority through the entire process. Never thought our first home buying experience could be so pleasant and easy!! " " Bruce is very attentive to every detail! He helped us purchase our home from across the country. We felt secure knowing that he understood what we needed in a home and helped work out even the tiniest details of the contract and financing. I highly recommend him to anyone looking in the Hampton Roads area! " " Jenn did such an amazing job helping us find a home. From the minute I called her she got an idea of what we wanted and never hesitated to show us any homes. When it came down to having repairs done so we could close on the house she went above and beyond to find someone to get them done so we did not get delayed. She is knowledgeable and is a go getter! " " So easy to talk to and great with kids. Listened to everything I wanted and did not want. Found me the perfect home. If I ever buy or sell again I will use Bruce again! " " We had a very unique situation and had to short sell. Jenn was amazing and helped us navigate through the entire process. She put all the right people in place and handled every problem that arose along the way. Our situation was far from normal even for a short sale but you would never know that the way she handled it. She is kind and legitimately cares about the people she represents. These are not qualities that are easily found anymore unfortunately. My only complaint is that we moved to a different area and won't be able to have her sell our next home when it is time. Thank you Jenn...you were amazing! " Just change these settings to update the prices across the entire website. If you need help figuring out your numbers our Home Loan Provider is more than happy to help explain things. Call 757-250-4499 and ask for Matt Beckwith.